Collins Booksellers - The Synonym Finder by J. I. Rodale, 9781623367596. Buy this book online. 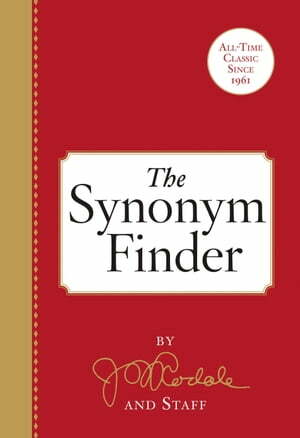 Originally published in 1961 by the founder of Rodale Inc., The Synonym Finder continues to be a practical reference tool for every home and office. This thesaurus contains more than 1 million synonyms, arranged alphabetically, with separate subdivisions for the different parts of speech and meanings of the same word.